GF Technology Seminars is a multi-part series that begins with an introduction to GF … who we are, what we do, and continues with Automation Technologies and Designing with Plastics modules, each one hour in length given by subject matter experts with personalized PDH (CEU) certificates available, if desired. Because of the recent consolidation of three companies into the GF Piping, one benefit is that GF Piping offers such a variety of materials in their portfolio that they can talk specifically about the unique problems, issues, and challenges around a given application and make a recommendation knowing it’s the ‘right’ kind of material for the job, instead of working from a narrow selection of materials. You come to GF Piping Systems and get a neutral material recommendation, and you can be sure that the recommendation is really the best system for your application. 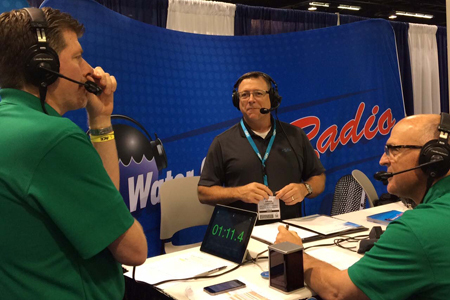 Click the radio player to hear the full interview and learn more about GF Technology Seminars, or other products and services the company has to offer.